AES — New York — Dangerous Music today premiered the CONVERT-AD+ A to D converter. Building on their legacy of award-winning monitoring and mastering D to A converters, the CONVERT-AD+ is the culmination of the company’s technical advances over the past 15 years, as always, addressing both the sonic demands, practical needs of professional audio engineers and to put the soul back into music. The design and implementation of this unique converter realize the highest levels of quality and embrace the company’s credo, Sacrifice Nothing. The CONVERT-AD+ is set for release in November 2017, with a street price of $2,599. US. 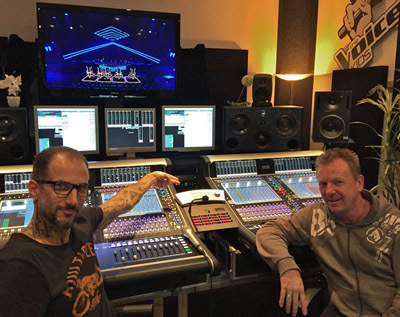 When the pressures of a live TV show weigh in on the audio mix engineers responsible for adding stunning sound to make the pictures come alive for eager audiences, the right monitoring gear is essential, and it’s why Toni Kern, at The Voice of Germany, chose both the Dangerous Monitor ST monitor controller and recently added the new Dangerous Convert-2 DAC. “The Convert-2 is really easy to use, it sounds really great-and it sounds natural. And it’s definitely much more accurate than the setup we had before which was only analog monitoring. Now we listen to the exact same digital signal that we send to the live broadcast, and we are hearing it through the Convert-2. We feel very confident about what we are sending to the broadcasters because of this, and the mix is better because of it too.” The German show, similar to the popular US version, The Voice, has featured live performances by top artists such as Cold Play, Robin Schulz, Elle King, James Morrison, Ellie Goulding, and Jess Glynne. 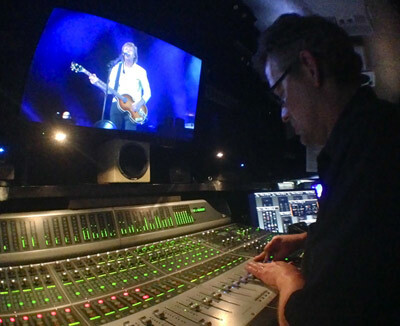 Mixing bands live, especially through an analog console, can be a great pathway to mixing records. There’s an experience of immediacy in moving the faders and hearing what you expect. In-the-box all-digital mixing has placed some roadblocks in the way of that, but Dangerous Music puts the analog sound and feel back in the mixing equation with their ground breaking summing mixers. One person who got his mixing ‘joy back’ is engineer David Kimmell, who has been mixing audio since 1997, and for many years mixed bands live, among other touring gigs. 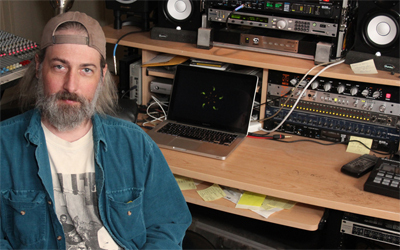 After several years in his own studio trying to mix ‘in-the-box’ and not enjoying it, feeling that he was “fighting the mix constantly,” Kimmell added the Dangerous D-Box to his rig and everything changed. 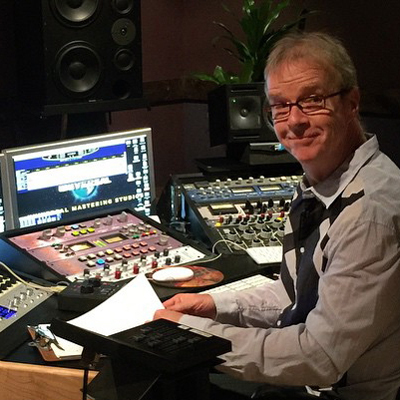 Mastering engineer Pete Doell counts Dangerous Music gear as a key to his success. The Dangerous MONITOR was an eye and ear opener that has made his job easier at Universal Mastering Studios, “I have to admit when I first got the Dangerous Monitor and heard the playback through the DAC, I thought, ‘Oh my god!’ it really made me hear things in a truer way, and I had to do less processing to get the right result,” said Doell. He added the Dangerous MASTER for integrating his outboard gear, and the Dangerous MQ for metering to round out his ‘mastering console’ setup – the centerpiece of his studio. 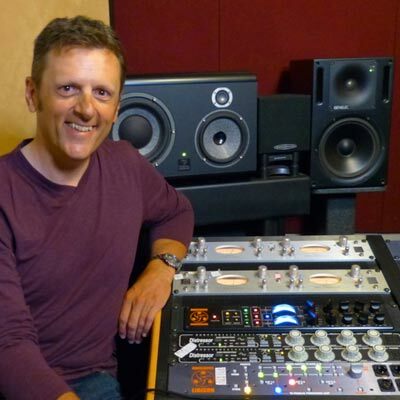 Doell has mastered over 100 albums since joining Universal Mastering Studios, including R.E.M., Marilyn Manson, Toto, Dave Koz, Nat ‘King’ Cole and Sheryl Crow to name only a few. Many top engineers across the studio world revere Dangerous Music for the quality of its D-to-A converters, the company currently offers conversion in the D-BOX, SOURCE, and the recently released CONVERT-2 and CONVERT-8 products. Edmeston, NY – August 19, 2015 – Mix engineer Michael James has a double number one hit for his mix of the song “Estrellas Rotas” from recording artist Kalimba’s latest record, Cena Para Desayunar (Sony Music). The record has ruled both Monitor Latino’s ‘Plays” and ‘Audience Reach’ charts for seven consecutive weeks so far. “This is a very special record for Kalimba, so I’m blessed to have been part of it,” says James. He mixed the hit record using a large collection of Dangerous Music gear. James’ mix career spans a host of musical artists including New Radicals, Hole, Far, L7, Robben Ford, Edwin McCain, Maia Sharp, A.J. Croce, Chicago, Jawbreaker, and Mario Guerrero, to name just a few. Over the past several months solutions integrator Wire Broadcast has installed 33 Dangerous Music “Source” monitor controllers at two busy UK post production facilities, with 25 units going into THE MILL and 8 more at the new PRODIGIOUS location. Dangerous Music’s European distributor, Masteringworks, was the EU supplier for both the installs. 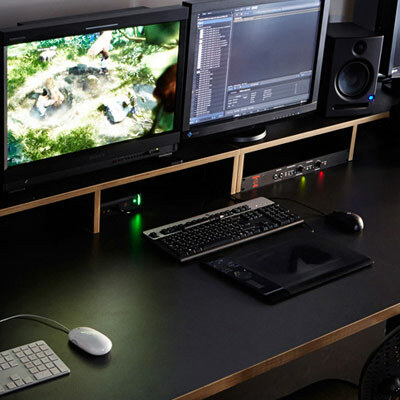 London-based Wire Broadcast is a group of engineers who specialize in designing technical production solutions for the television and media industries. Dangerous Music is one of the industry leaders in dedicated monitor controllers and helped usher in the product category over 10 years ago with the Dangerous Monitor – widely regarded as a benchmark of quality by top engineers in mastering and mixing. Dangerous Music, who revolutionized digital mixing with the original 2-BUS analog-summing mixer, has redefined summing again with the ground-up redesign of the Dangerous 2-BUS+. The unveiling ceremonies will be conducted at Sweetwater’s GearFest in Fort Wayne, Indiana with engineer/producer Fab Dupont officiating. 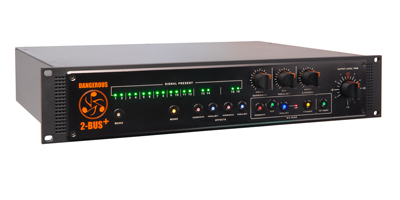 Dangerous Music pioneered the dedicated rack-mounted analog summing device for the back-end of any digital audio workstation in the late 1990s, and the Dangerous 2-Bus proceeded to take its place as the industry standard solution for the analog/digital mixing workflow. 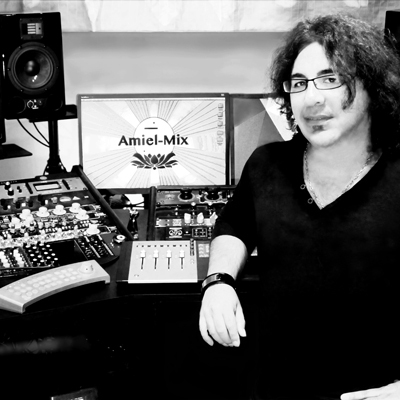 Reuven Amiel is a unique mix engineer who has come full circle from analog consoles and tape, to mixing only digitally in-the-box, to his studio today which combines the best of both worlds, a hybrid analog-digital setup, with a software DAW and plug-ins, analog summing, and integrated outboard gear. “If you are looking for flexibility, the Dangerous Music products give you freedom,” states Amiel unequivocally. “I don’t feel like a slave to a certain sound when I am mixing with Dangerous gear. I am not kidnapped by the sound of my summing or my compressor or my EQ. If I want color, I have the freedom to color the sounds in the way I want with other gear. That’s very important for me.” Amiel is working in his Miami, Florida-based studio with his ‘Hybrid’ setup featuring the Dangerous Music 2-Bus summing, Monitor ST monitoring and switching combined with the new Convert-2 DAC, the BAX EQ and the Dangerous Compressor.